WATCH: First Trailer For ‘Luke Cage’ Season Two! 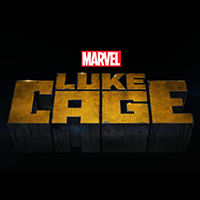 If you’ve been missing a certain bulletproof superhero since his last appearance in Marvel’s The Defenders last year, never fear: season two of Luke Cage will soon be here! Here’s hoping that this season is even better than the first one. I loved season one, but had some issues with the resolution of the story arc. We also now have a release date for the new season: June 22. Watch the trailer below, and then tell us in the comments how excited you are to see more of Luke!